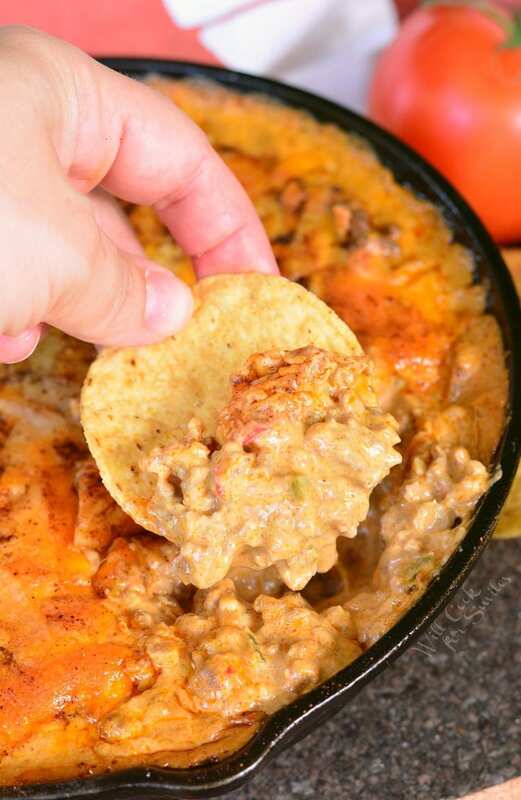 Creamy, cheesy, delicious hot beef taco dip perfect for a party and a family dinner alike. 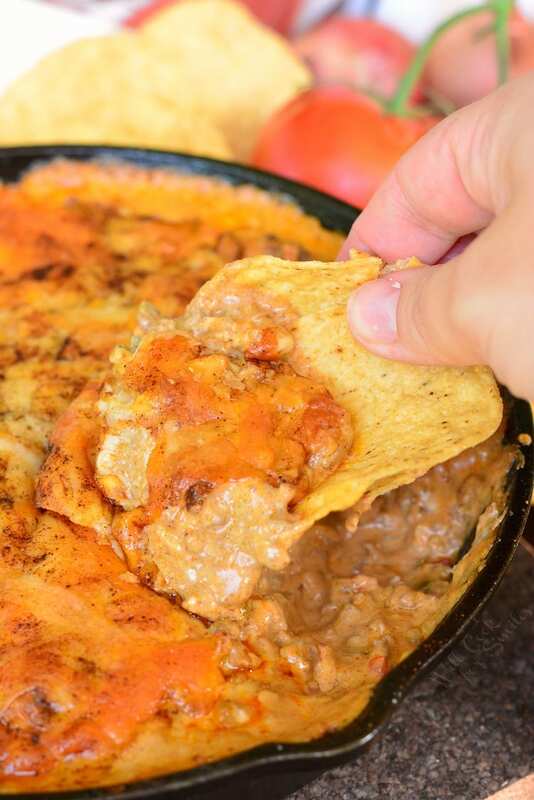 This beef taco dip is made with ground beef, veggies, cheese, and some more cheese. You can easily adjust spice level by adding more jalapenos and chili peppers or even leaving the hot pepper seeds in. 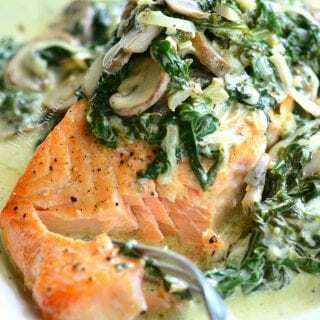 Let me start by saying that this is not an instant pot recipe (even though I was planning it to be) and I’m about to tell you why. My mom got me a new toy for my birthday, she got me a brand-spanking-new instant pot, yay! I couldn’t wait to take it out and play with it. Making dips in a Crock Pot has always been easy and delicious so I decided to make this Beef Taco Dip my first Instant Pot recipe. I set it on the counter, took a good, long look at 4256 buttons on it and the same amount of instructions, quietly put it back in the box and turn my oven on to warm up. That was the moment I realized that I will need more than 5 minutes to figure out this new toy for sure. It’s a sophisticated machine that has RULES. Yes, it actually has rules. Not as easy to just convert everything you know about a slow cooker into the instant pot. Oh well, I guess I need to study first. For now, I made my taco dip the “old-fashioned” way, in the oven. But, no matter what this dip is cooked in, it tastes amazing. 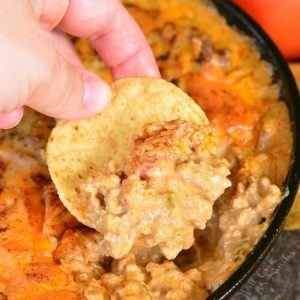 CAN TO MAKE TACO DIP IN A SLOW COOKER? Yes! 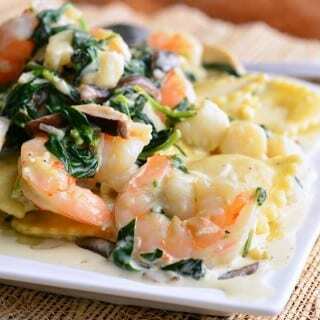 You can easily convert this recipe to a slow cooker. Start by sauteing veggies and beef on stove-top just like it in the oven. Transfer meat and veggies into the slow cooker. Add softened cream cheese and all of shredded Mexican cheese mix to the slow cooker as well. Mix everything. Once the dip is done, you can set the slow cooker on warm setting and serve it to your guests right in the slow cooker. Those of you who read my posts often know that I prefer to cook with ground beef that had 80/20 meat to fat ratio. The result is juicier and more tender. This is actually the reason why I recommend a 90/10 ground beef for this recipe. There will not be as much juices coming off the meat and it will not make the dip runny. 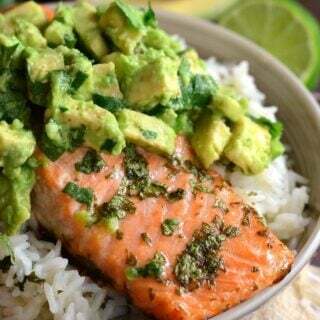 The reason why I don’t like to drain off all the juices is because it has so much flavor. So unless I’m making hand pies or something that needs to be dry, the juices stay! Adjusting spice level of this dip is very easy. 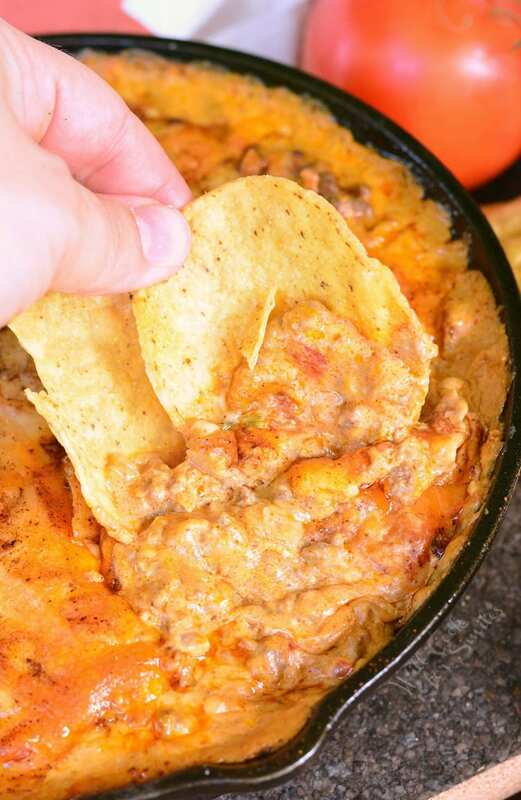 This dip has a mild spice level and if you want to add more spice, add another jalapeno and red chili pepper. If you leave seeds in, that will add even more spice because seeds hold the most spice of the pepper. When choosing jalapeno and chili peppers, the ones with more dry veins on the skin are spicier. Choose the peppers according to your spice preference. Right before baking, add some chipotle chili powder and paprika on top of cheese so that even the ooey-gooey cheese on top has an amazing flavor. 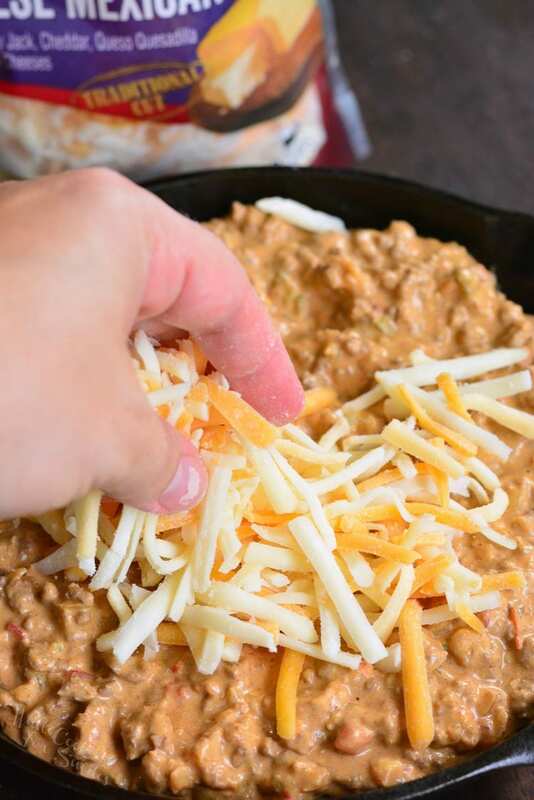 Slow Cooker Chicken Enchilada Cheese Dip – This creamy chicken dip is easily made with juicy rotisserie chicken, enchilada sauce, and a tasty mixture of sauteed veggies. Queso Blanco with Chorizo – Fantastic, warm, cheesy dip that’s easy to make and perfect for every party. 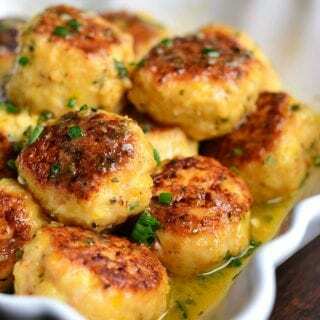 Zesty Queso Blanco made with chorizo sausage. One bowl wont’ be enough! Hot 7-Layer Dip – This is not your ordinary 7 Layer Dip! 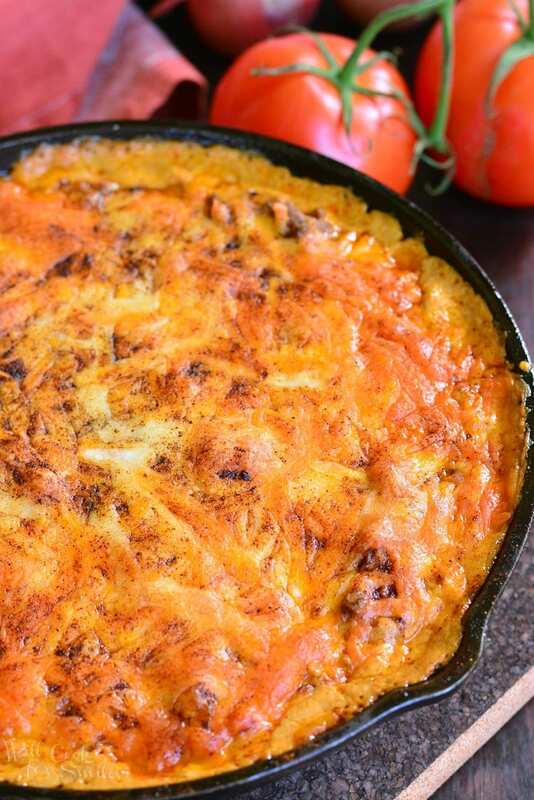 It’s made in a skillet, served hot and made with lots of beef, veggies and cheese. 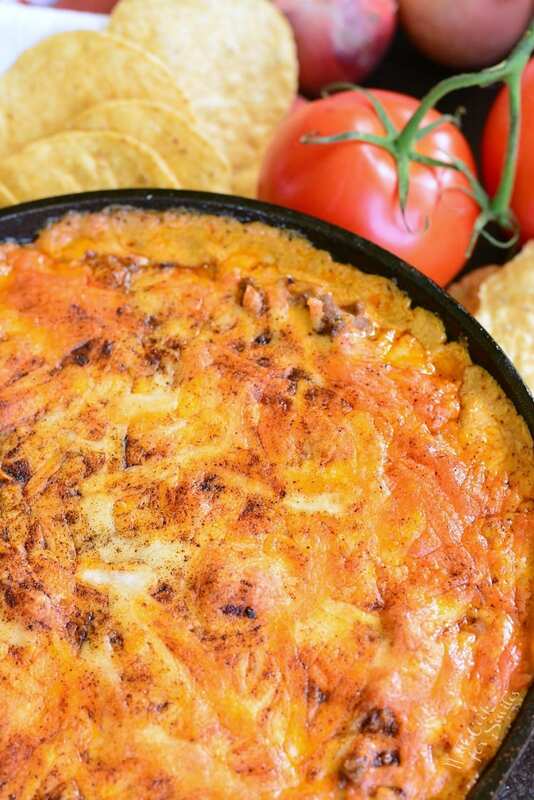 Creamy, cheesy, delicious hot beef taco dip perfect for a party and a family dinner alike. 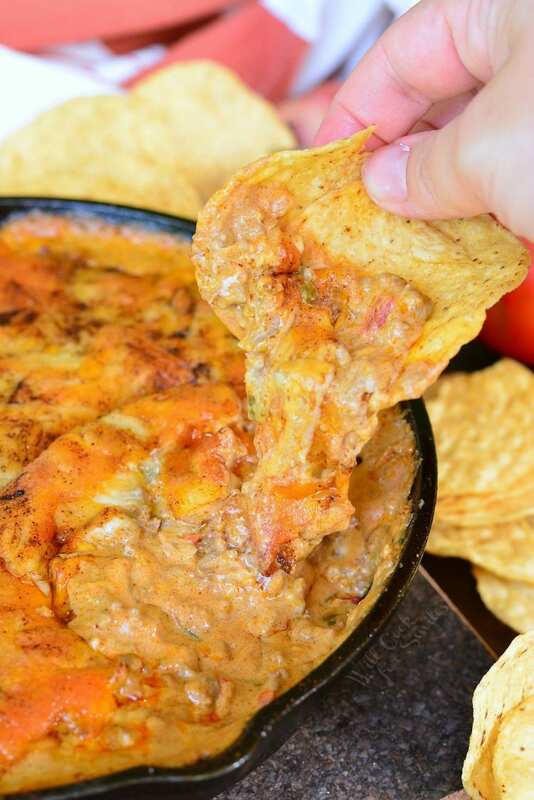 This beef taco dip is made with ground beef, veggies, cheese, and some more cheese. Preheat oven to 375 and make sure the baking dish (or cast iron skillet) is lightly greased. Heat up a cooking pan over medium heat and add a couple of tablespoons of oil for cooking. Start to cook onions until transparent. Add jalapeno and chili pepper and saute until softened. Add garlic and cook until fragrant. 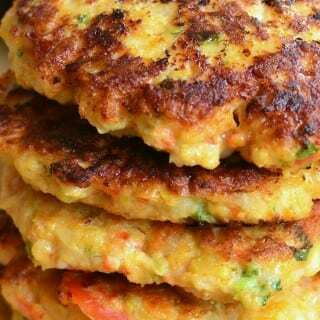 Add tomatoes and cook until all veggies are softened. Add ground beef and break it up as much as possible. Cover with a lid and cook until the meat it done. Mix and break apart the clumps occasionally, as meat cooks. Sprinkle taco seasoning over the beef and stir everything together well. Once meat is cooked, transfer the meat and veggies mixture into a mixing bowl. Stir in cream cheese until completely combined and smooth. 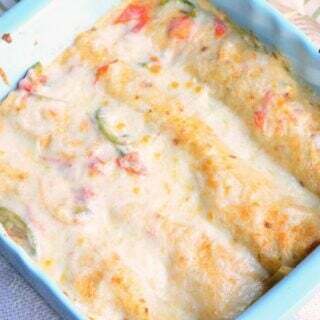 Stir in 1 cup of Mexican cheese mix and transfer into a baking dish or skillet. Top off with remaining cup of Mexican cheese mix and sprinkle chipotle chili powder and paprika over the cheese. Bake for about 10 minutes, until cheese is melted and bubbles. Your email address isn’t working. Can you please check it out and fix it? Thanks! THIs is an awesome combination of flavors. I think I’ll make this for the Labor Day pool party! I agree with you about instructions for new gadgets. I love the gadget, but don’t want to blow it up the first time I try to use it. Read those rules carefully! Lol Thanks for sharing. where is the taco seasoning uses? Thank you so much for letting me know, Kelly! You’d add it while cooking the beef. I will fix it asap!